If there’s one country which has raised eyebrows and set tongues wagging in recent years, it’s surely Chile. This long, lean strip of Latin America has been seriously impressing recently, having gained some focus and finding a voice - a voice based around the Carmenere varietal grape which it has made its own. Several high quality, attentive and forward-thinking wineries have poked their heads above the wash of low-cost Merlots and Chardonnays, and one key player in the renewed reputation of modern Chilean wine has been Casa Silva. This is classic Carmenere - bright violet in the glass, a lifted nose of sweet violets, fresh rose, dark juicy plums and a background of herbaceousness. 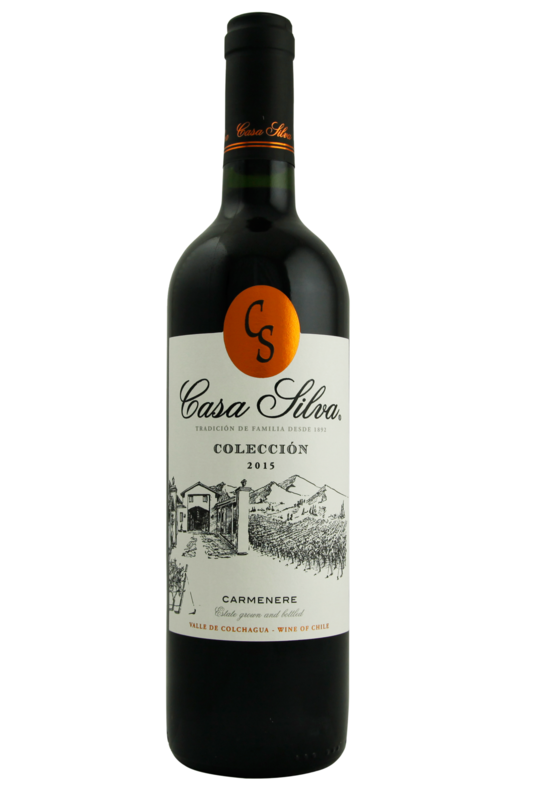 No surprise either - the winemaker at Casa Silva, Mario Geisse, is referred to in Chile as "the King of Carmenere". This avoids the trap of overt vegetal notes that the grape is often known for - nicely done! Softly textured, with no hard edges, this is a supremely well-constructed example of the grape. There's flavours bracken, spice and a hint of tar. Not hugely oaky, but certainly there adding depth. A plush, pleasing, modern style that doesn’t have a great deal of tannin, but is certainly fleshy and pleasurable. This is classic Carmenere - bright violet in the glass, a lifted nose of sweet violets, fresh rose, dark juicy plums and a background of herbaceousness. 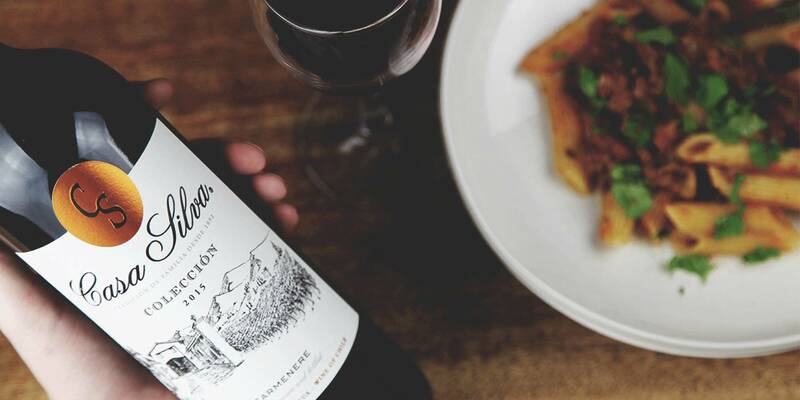 Carmenere is a great wine to pair with all kinds of central and Latin American cuisine, so if you’re looking for a great bottle to drink alongside those spicy empanadas or chilli con carne, this might well be the one you’re looking for. We always think that Carmenere goes particularly well with smoky meats, such a bacon, as well as lamb - especially curried lamb or Caribbean curry goat. Seared tuna is also a top match, especially when served with dark, leafy greens.